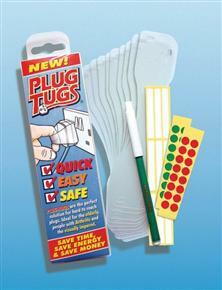 Plug Tugs Easy Grip To Remove Plugs From Sockets. These innovative Plug Tugs attach to electrical plugs with a secure loop that allows the user to grip for easy removal, and with the use of the attached label, allows users to easily identify which appliance they are attached to. 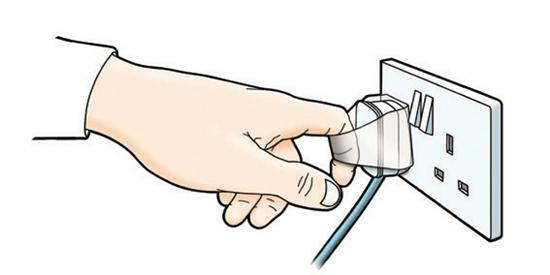 Ideal for ease use for people with reduced grip, hand or arm function, people with Arthritis and the visually impaired. Supplied in packs of ten.